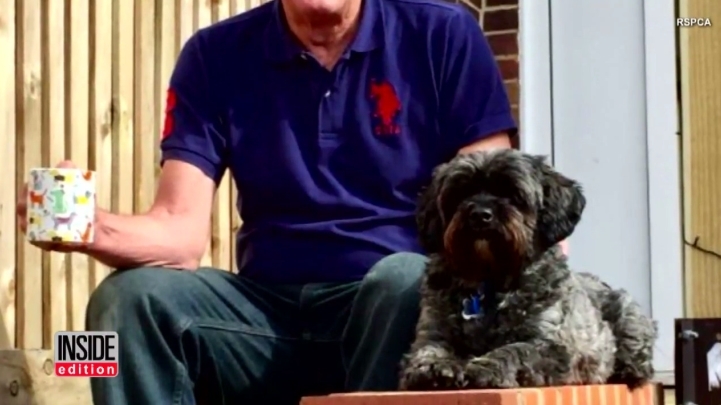 This pawesome little pup is being hailed as a “miracle dog” after he woke up his owner from a medically induced coma. While waiting for him to come out of a coma, Andy’s wife, Estelle, received special permission to bring Teddy into the hospital. Pet visits usually take place outside the hospital, but hospital staff made an exception for Teddy. Inside Edition reported that Andy woke up from his coma as soon as Teddy entered the hospital room and started barking. Fiona Hall, senior sister for the general intensive care unit, told the Daily Mail that having pets around during recovery can be incredibly beneficial for patients, their friends and families, and hospital staff. “It can be motivational, aiding recovery, and can provide a pleasant and familiar experience in what can otherwise prove to be a long, uncomfortable journey in hospital,” she said. 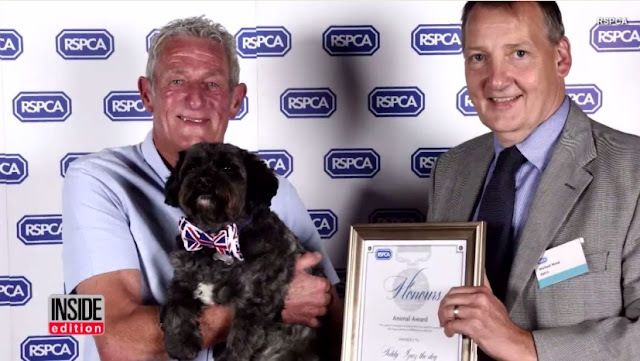 For helping his owner wake up, Teddy was recognized by the U.K.’s Royal Society for the Prevention of Cruelty to Animals (RSPCA), the same organization Andy adopted him from, under a special animal category. He was the only animal to win an award under the newly-created category. 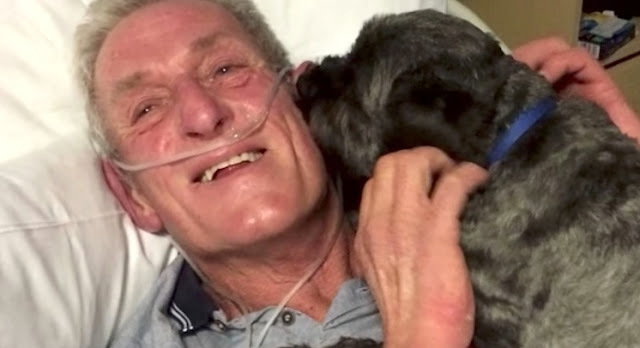 Responses to "Man Wakes From Coma After His Dog Visits Hospital"